Float is committed to analyzing current trends in mobile learning and how those trends may benefit your organization. To that end, we’ve released a wealth of mobile learning research over the course of the past year. We have analyzed the fields of mobile health (mHealth) and mobile agriculture (mAgriculture) in depth. 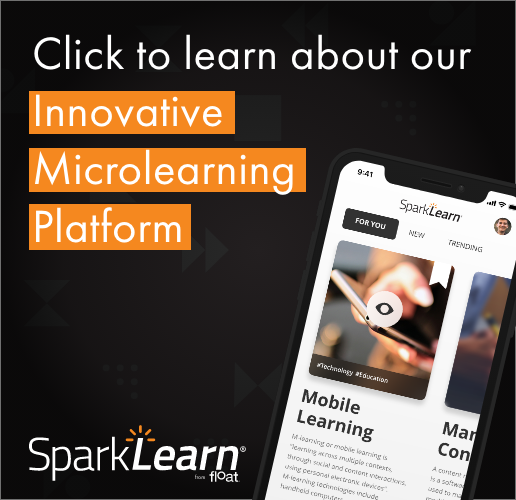 We’ve also discussed the necessary components of calculating the ROI of your mobile learning initiative and the requirements involved in creating a mobile learning initiative for your enterprise. In our mHealth research, we suggest the mHealth is poised to explode in the next decade. Four out of five doctors in the U.S. use smartphones in medical apps, and more than half of physicians say they use mobile devices to expedite decision-making. Not to mention that more than 10,000 health-related apps are available in the Apple App Store. Topics covered in this research include current mobile learning applications in health care, self-care, home care, wellness, mobile technology’s role in training and emergency applications, and more. Regarding mAgriculture, did you know that farmers and growers in developing countries have been using mobile technology for nearly a decade? That trend is just beginning to take hold in North America, though the numbers would suggest it had been longer. Ninety-four percent of farmers own a mobile device or smartphone, and smartphone adoption among farmers jumped from 10 percent in 2010 to 40 percent by mid-2011. What’s more, the use of precision agriculture using mobile technology could cut water usage in half. Download any of our research papers during DevLearn (today through Nov. 2) and take 50 percent off using the code DL12_50.